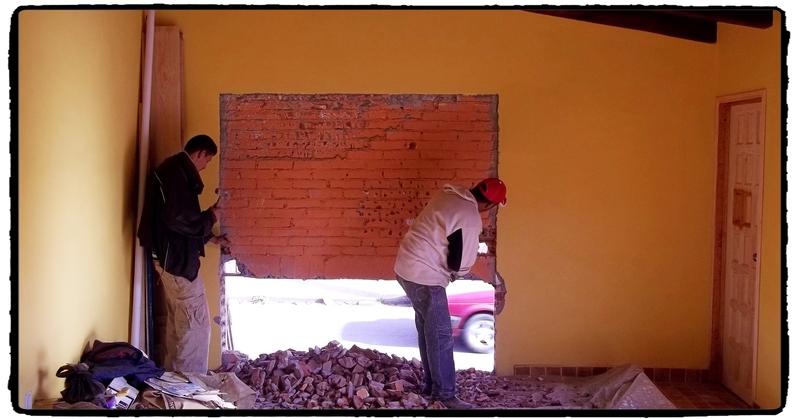 STOREFRONT CONSTRUCTION is nearing completion here at the Hacienda. Most everything has been done except opening the new space to the outside world, which is what you see happening here. The above photo was taken at noon yesterday. To the right is the bathroom door, which remains to be painted. 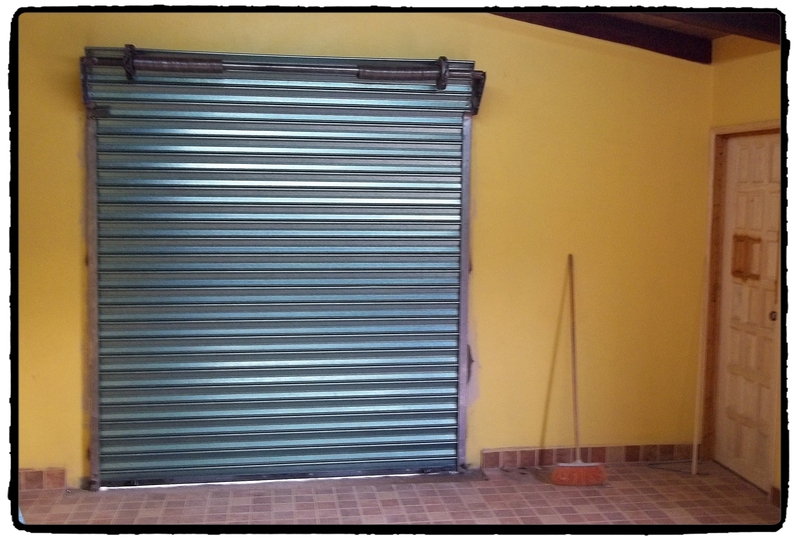 The honcho promised that the entryway would be open and the metal sliding door installed before day’s end. A spanking new stove and refrigerator are sitting against the wall at the rear, which you cannot see here. The bathroom is a done deal with colonial tile around the sink, and a toilet ready for sitting. Photos later. This project started in November, and we’re going to be soooo happy to have it over and done with — and these talented guys out of our faces. For an ongoing gallery of the project, see here. I can’t wait to see more photos of the completed work. Have a good weekend, my friend. Mike: Over the years we’ve used various construction guys. They have ranged from lousy to pretty good to excellent. As you likely know, albañiles have a so-so reputation. Alcoholism is said to be rampant. But I’ve never had a crew like this one. They are absolutely superlative. I doubt I’ll ever use anyone else again. I’d never used them before. I just went to a paint store and asked for a recomendation, and I was given the honcho’s business card. I hit the jackpot. You have a good weekend, too. Of course, all my days are Saturdays. You really did get lucky with this construction crew! When will the grand opening, replete with chicken pies, be held? Ms. Shoes: There will be no opening, grand or otherwise. But the tasty wares are available most every Saturday afternoon down on the main plaza. Yum! It is about time for me to make a highlands appearance. Maybe I could set up a Mexpatriate subsidiary next to the cooking gear. Señor Cotton: We could put a nice easy chair out there. Plenty of room. And you could sit for the daily hours that I imagine you put in on your blog. We could install a sign outside that says: Mexpatriate Mountain Outpost … and pastries too. It would be very popular.